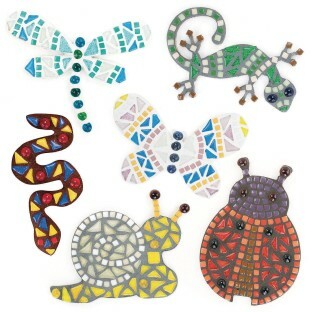 Create garden mosaics in 6 designs! 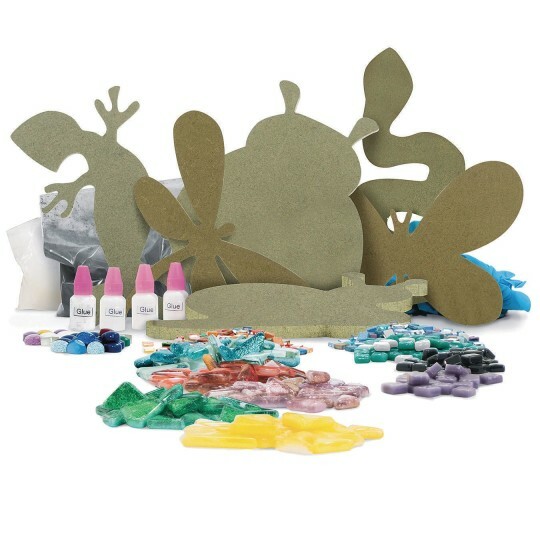 Create garden mosaics in 6 designs! 1 each of butterfly, dragonfly, ladybug, gecko, snake, and snail. Comes with 6 waterproof MDF bases, 1 lb. cobblestone mosaic tile, 8 oz. Classico mini tiles, 4 oz. glass gems, 1 lb. white grout, 1 lb. black grout, 4 oz. adhesive, 6 gloves, and instructions. Sizes vary.